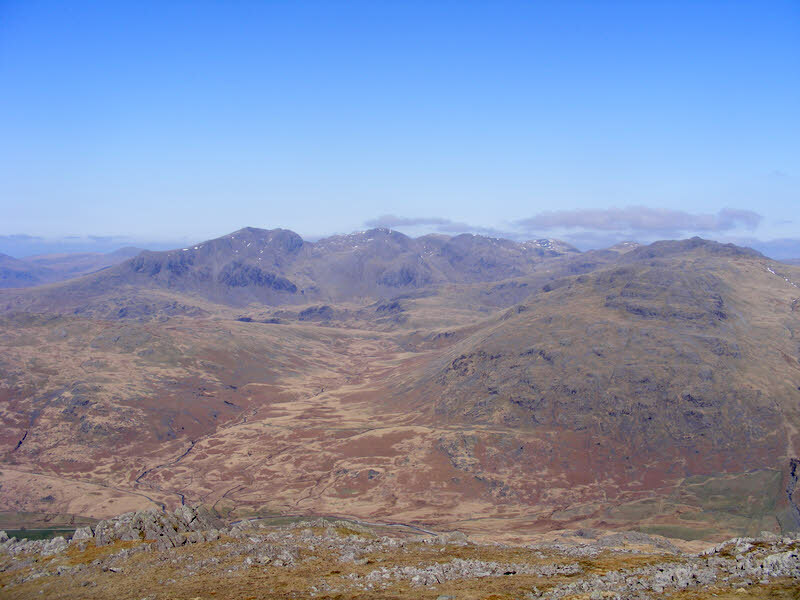 This is the view of the Scafell range from the top of Grey Friar, with the valley of Moasdale in the foreground. Scafell Pike is in the centre of the picture, with Scafell to the left and the ridge up to Great end to the right. On the right of the picture we look along Crinkle Crags towards Bow Fell, with the summit seen as a small rise.